« Stampin’Up! new Designer Series Paper Stacks and a wee tired boy! Hearts and Bohemian DSP from Stampin’ Up! Our beautiful grand daughter, Tannikah, has a Valentine. So last Valentine’s Day she posed for a pic with him. Her gorgeous boy, Uno. Tannikah and her mum rescue pooches for South Queensland Dog Rescue and take such good care of them until they find a ‘forever home’. I loved this pic when I first spotted it and was waiting for a layout and DSP that did it justice. I wanted to use hearts on the layout, to match the heart that Tannikah had painted on her cheek, to mark Valentine’s Day. I found and was inspired by a layout that appeared on Pinterest. I also created a wee pocket and journalling tag so that Tannikah can write down her thoughts for her and Uno on such a special Valentine’s day. The pocket has been embossed with the Happy Heart Embossing Folder and the card topped with some beautiful Venetian Lace. The hearts were punched from S.U.’s Sweetheart punch. 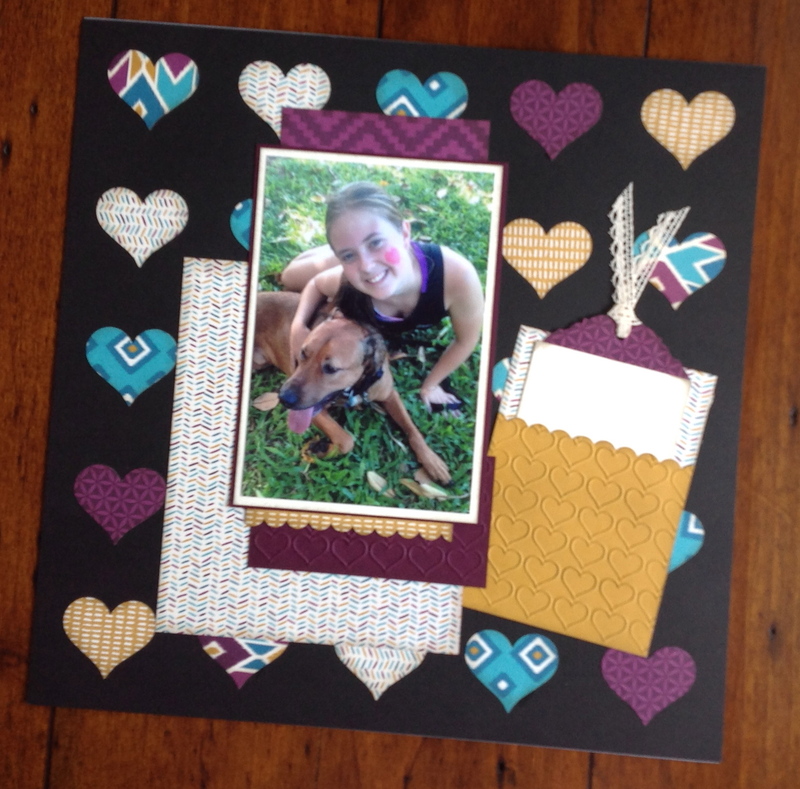 I really hope you love my heart layout of our precious grand daughter and her ‘valentine’ Uno.